Told through a series of poignant vignettes, Through A Life is a sweeping story of dreams, expectations, nature, and loss. Rodney spends his life looking through. Windows give way to screens as he comes of age dreaming of what lies beyond Earth's atmosphere. 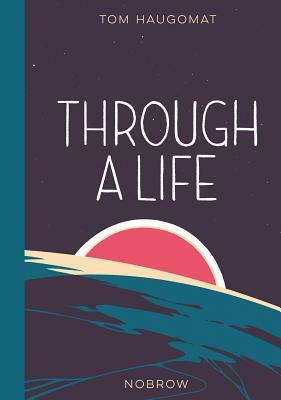 This powerfully silent graphic novel follows the saga of a boy who grows up to be an astronaut, just like he always wanted, until a fatal space shuttle crash upends his life, and he begins to find solace in the beauty here on earth. Tom Haugomat is a well-established figure in the illustration world, with successful work in publishing, advertising, and editorial. He now works as an animated film director and a freelance illustrator for clients such as Le Monde, Revue XXI, and Air France Magazine among many others. He currently lives and works in his hometown of Paris.